As my week-plus of Indian food postings comes to a close, it would seem only natural thing I take the time to focus on an Indian dessert offering. The problem is, I am not the most ardent fan of Indian desserts. Though there are exceptions, I find most Indian desserts to be unbearably sweet, unpleasantly textured, and nearly always containing golden raisins, of which I am no friend. With apologies to half of my genetic make-up, here is the part where I admit that, after a nice, satisfying Indian meal, I am 100% more likely to be found going out for gelato than reaching for the Indian dessert menu. It is not as though a petite cup of gelato after an Indian meal is a crime against humanity, but, unless I happen to order a bit of mango sorbet, it is not the smoothest bookend I can think of to complete my meal. And so, my dislike of Indian sweets, embarrassing as it is to admit, only compelled me to come up with a dessert that is at least slightly related to Indian cuisine, one that could be served at the end of an Indian feast and carry on the tone of the meal. Though I can’t claim that this cake is in any way an actual Indian dessert, it is, at the very least, very much the type of dessert that makes for a satisfying end to an Indian meal. Plumped up with three iterations of ginger (powdered, fresh, and crystallized), just barely scented with the aroma of cardamom, and brushed with a light, tart, lemony glaze, the flavor of the cake contains a subtle reminder of the savory foods that came before it. If you are looking for something to bring your Indian meal to a gentle close, you should look no further. You can, however, look beyond what I have initially come up with here. 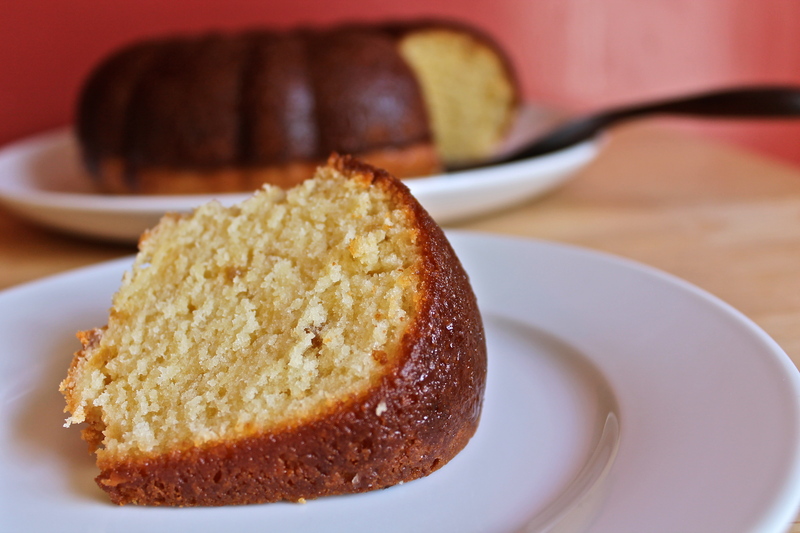 Though a nice addition, the lemon glaze definitely takes this cake in a brighter direction than some people might like. If you are looking for an even subtler presentation, omit the glaze and serve this cake with thin slices of ripe mango. To make the ginger sit even more front and center, you can serve it with lightly whipped cream flavored with a bit of ginger extract. No matter what you serve it with, you’re bound to be pleased with the result. Last Year: Chocolate Cake with Coffee Frosting (and a Secret) This is one stand-out cake, my friends. Preheat oven to 350 degrees Fahrenheit. Place an oven rack in the middle position. 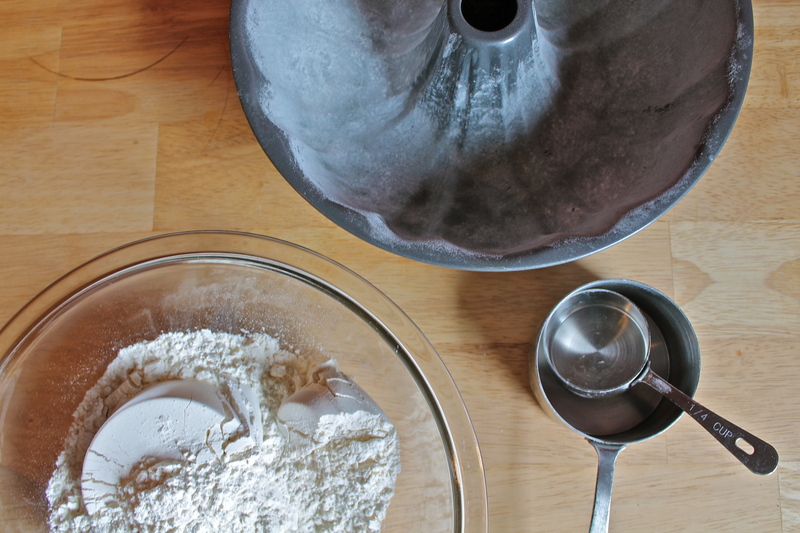 Thoroughly butter and flour a 12-cup bundt pan. 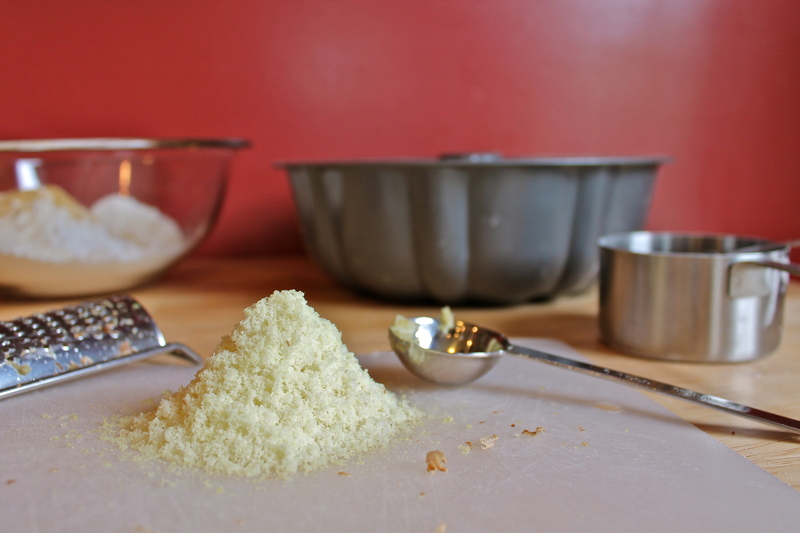 In a medium bowl, whisk together the flour, ground ginger, cardamom, baking powder, and salt. Set aside. In a large bowl, or in the bowl of a stand mixer fitted with the paddle attachment, beat the butter on high speed until light and creamy. Add the sugar, and beat on medium-high speed until well blended, about 2 minutes. Scrape down the sides of the bowl, then add the eggs, one at a time, blending well after each addition. 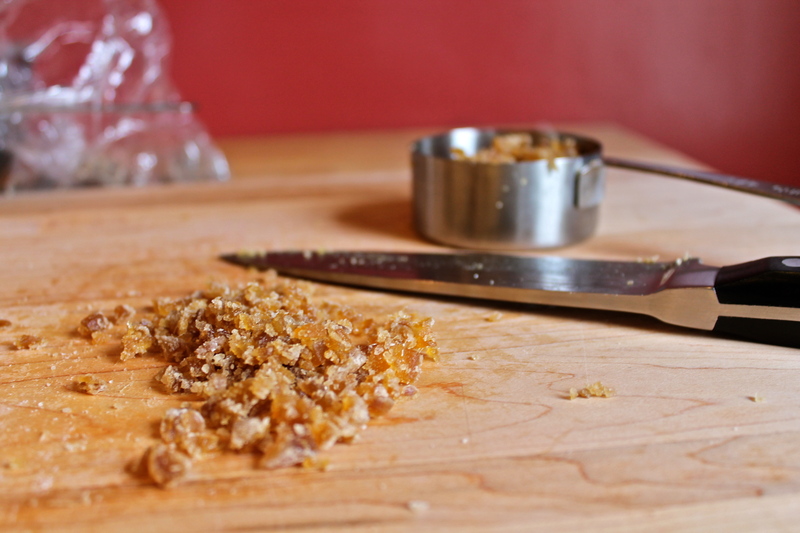 Add the vanilla and freshly grated ginger and beat until combined. 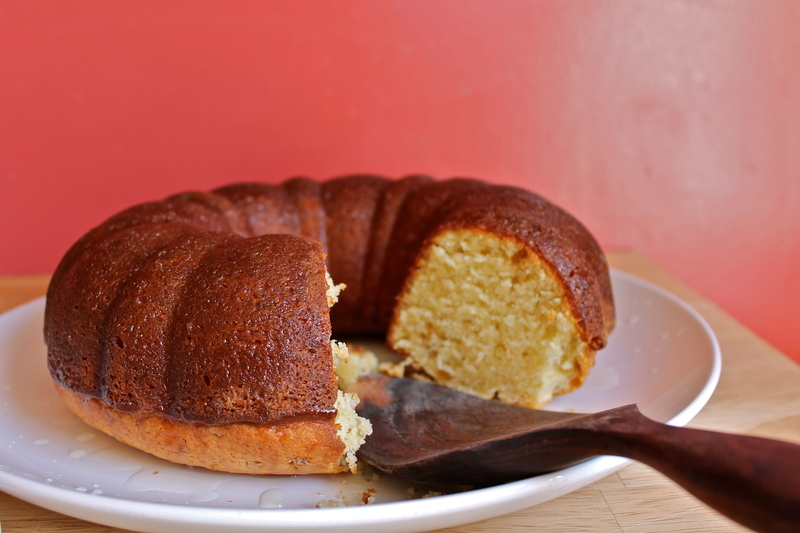 Spoon the batter into the prepared bundt pan, and bake for 50 to 55 minutes, until a cake tester inserted into the middle of the cake emerges with just a few moist crumbs attached, and the top of the cake is golden brown. 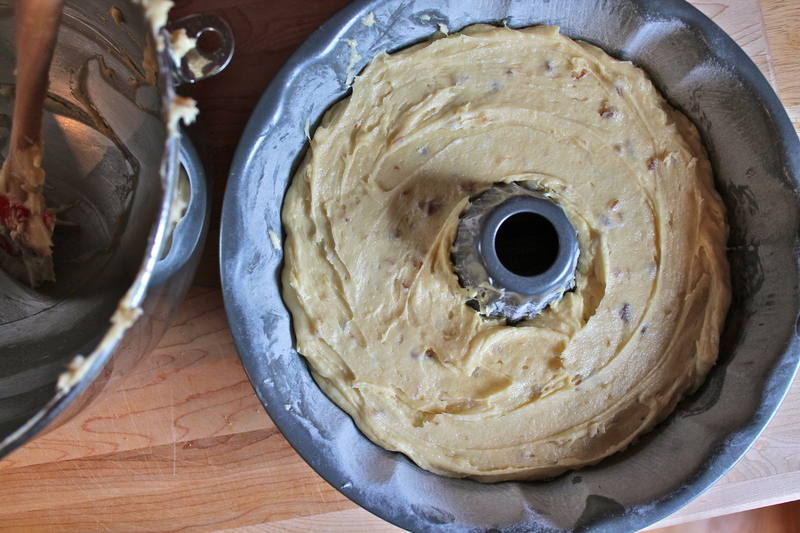 Cool the cake in its pan for 15 minutes, then invert onto a wire rack to cool. To make lemon glaze, in a small saucepan, combine lemon juice and powdered sugar over low heat and stir to dissolve sugar completely. Heat the mixture very gently and do not allow to boil. 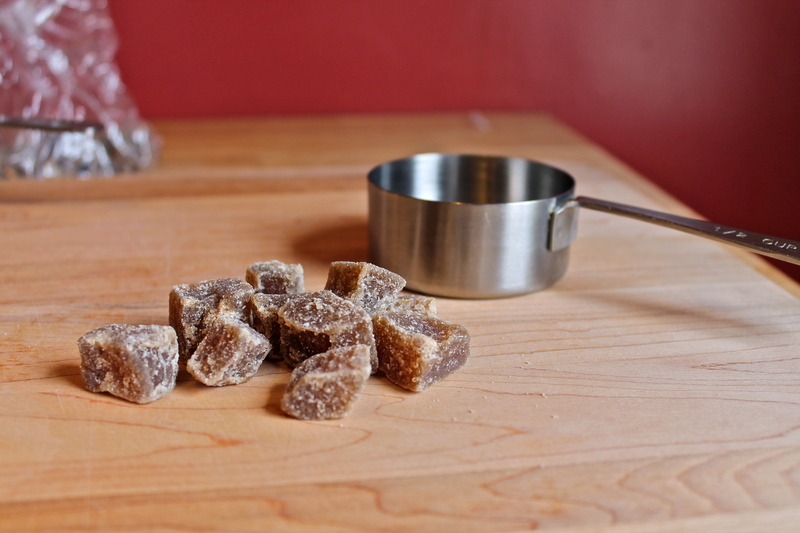 When sugar is completely dissolved, remove mixture from heat and allow to cool for 5 minutes. 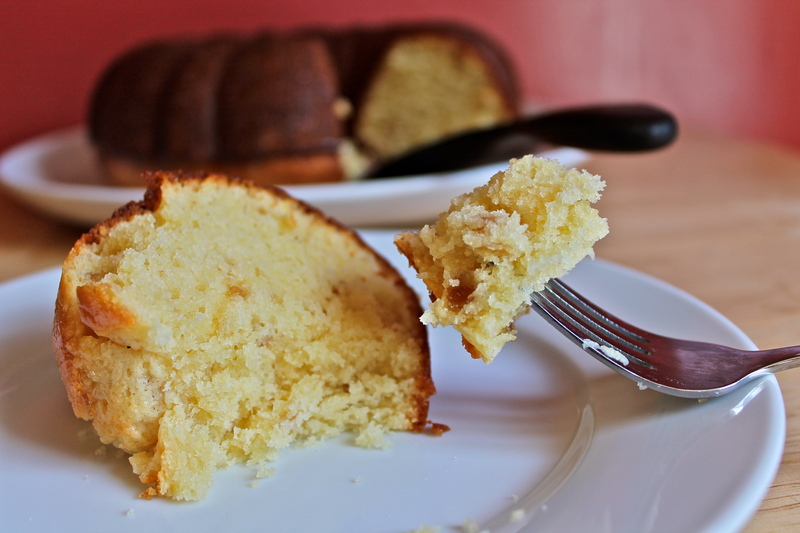 While cake is still slightly warm, brush all over with lemon glaze. Did you ever have brunch at Cafe Lena on Hawthorne? They had a cardamom-cinnamon coffee cake that I could eat every day for the rest of my life. It was more of a struesely swirly thing than this cake, but I could still picture this one being really good with eggs and yogurt and stuff. This would be fantastic with a big dollop of yogurt on top. 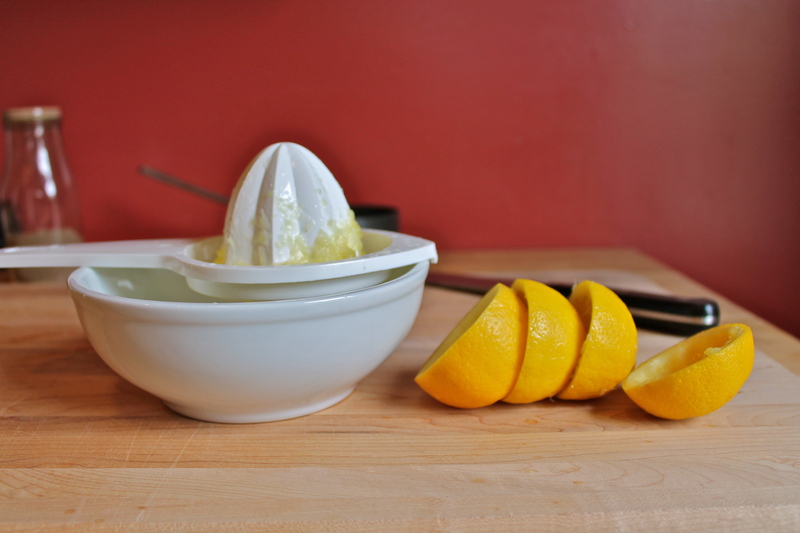 You might even skip the lemon glaze and just spoon some lemon yogurt on top of a big slice. Oh…now I want to do that. The texture of this cake looks perfect. And love the cardamom, ginger, lemon flavor combo. Yum! Looks wonderful. Love the crumb and the spices. Thanks for this delicious recipe which I made for my husband’s birthday last night. I substituted applesauce for the sour cream because I overlooked this ingredient before I shopped. It worked well, and everyone loved the cake.